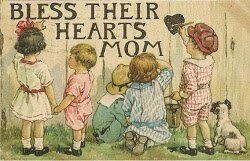 > Bless Their Hearts Mom: THE Best Homeschool Resource? SchoolhouseTeachers.com ! THE Best Homeschool Resource? SchoolhouseTeachers.com ! Since joining the Homeschool Review Crew last year, one of the best things (besides checking out great products) was the ability to use the SchoolhouseTeachers.com website! This year we're thrilled to be back as a member of the Homeschool Review Crew, and I wanted to remind new homeschoolers, and those thinking about it, about all the great aspects of WHY you should join this incredible site, and use it for your child's instruction! Since 2012, over 7,000 students (preschool thru high school) have taken their Online Courses, which now number over 300 (and includes Online Electives)! 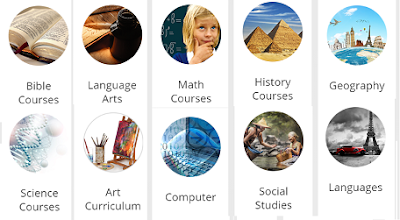 Their courses cover Pre-School thru High School, so you can use them for ALL the kids you have! And because you can download the lessons, your child can work on them at ANY time, even if you don't have an online connection! If you're home schooling Middle and High School years, you REALLY need to check out their online Middle School Homeschool Courses and High School Homeschool Courses! So many of those needed subjects (Algebra, Calculus, Chemistry, Civics, Foreign Language, Geometry) are ones that most of us have NO desire to teach. Problem solved: SchoolhouseTeachers.com offers them ALL! And when your child completes them, they get a course certificate, so there is no question that they did it! 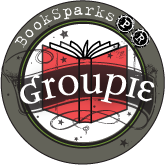 With your Ultimate Annual Yearly Membership you also get access to the online World Book, which can be searched by subject or by grade level! No having to pull out the 3 pound encyclopedia to hunt for into on a topic. Nope, now ALL types of learners can easily access the info they need, in a audio/visual way, something missing from standard books! Plus the World Book feature gives them additional linking info, that might be missing from traditional encyclopedias, which is important if you're trying to find more info! A book can tell you and show you a picture, but SEEING a cheetah beat a running horse, really allows visual learners to REMEMBER what they have learned! Membership to SchoolhouseTeachers.com also provides your family access to hundreds of streaming videos from providers including Creation.com, Drive Thru History (OUR FAV! 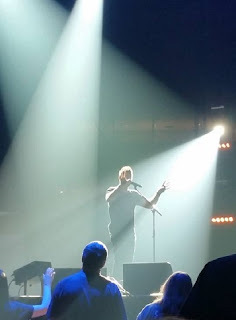 ), Vision Video, Discovery House, Boat Angel, City on a Hill, RightNow Media, and more! Some of the videos are from the online classes, and others are extra videos, that they entire family will love watching! 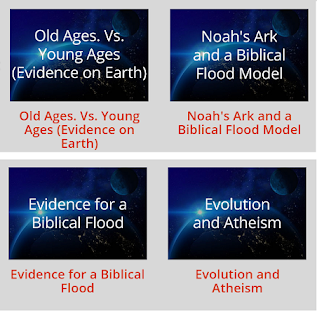 And I love that you can now access the videos you need WHEN you need them, like when your 4th grader asks why Noah's flood should be believed. Now you can pull up that video and they can visually see the evidence! 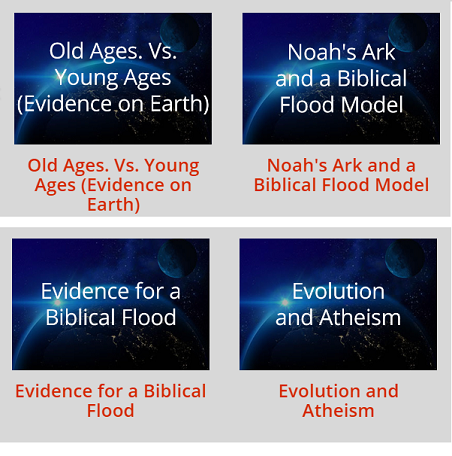 The videos are amazing for apologetics- my daughter has gone through just about all of those- but also for history, science and geography! If there is one area of homeschooling that makes the staunchest supporter blanche, it is definitely HIGH SCHOOL! The scheduling, the panic, the will they/won't they college question, transcript fuzziness, and that's all what the PARENTS are thinking! LOL. SchoolhouseTeachers.com has an amazing bunch of editors and contributors who have BEEN there- they KNOW what you need and guess what?, it's THERE for you! The website has SO many FREE resources besides their online courses, like how to make out those high school schedules with their super Homeschool Planners, help to build scope and sequences (in case you have to turn them in for your state), to even how to build your own unit study (like a Life Skills elective! 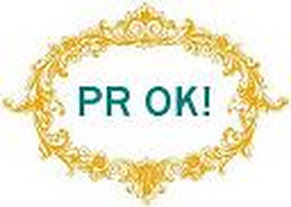 ), and making those dreaded transcripts that colleges will love! It's not only your kids who can get education! SchoolhouseTeachers.com offers mini courses for parents too! These amazing articles and courses offer parents what they NEED to know to make sure their kids are getting education suited TO them, like Special Needs, Active Learners, to Learning Your Child's Learning Style, and more! But it doesn't stop there- there are courses in helping your kids keep their faith, keeping your marriage on track, or even dealing with teens who aren't motivated! And if you ARE homeschooling, they have Homeschool Parent Support courses like Teaching Elementary Math (a topic most new homeschoolers fear the most!) to Dealing with Emotions and Homeschooling Through the rough Spots, the team at SchoolhouseTeachers.com has BEEN there, and they know the areas parents need support in! Just think how much you would may on other sites JUST for this info! yet, you get it FREE, along with everything above, PLUS your Ultimate Annual Yearly Membership. entitles you to free copies of The Old Schoolhouse magazine too! How can you say "no" to such a valuable resource? And NOW you can get it even cheaper!